Former MK Michael Ben-Ari demands general public, nationalist MKs stand up for Meir Ettinger's fair treatment. As the campaign for Meir Ettinger's immediately release grows, former MK Michael Ben-Ari has called on right-wing MKs to join the efforts. "This is a cruel form of abuse without a trial and without a sentence. The entire public is silently allowing the Shin Bet and (Defense Minister Moshe) 'Bogie' Ya'alon to continue the abuse," he told Arutz Sheva. Ben-Ari expressed his confusion over the decision to extend Ettinger's arrest. "It was easy for them to take Rabbi Kahane's grandson and to declare he is Public Enemy No. 1 as though he was the head of the Jewish underground. If he's Public Enemy No. 1, why isn't there a shred of evidence against him? "Even Rabbi Kahane sat in administrative detention for no reason. Meir Ettinger is an outstanding boy, who knows the Babylonian Talmud cold. He has original ideas and different opinions, but I thought that this is a democratic country." He fired that only right-wing governments persecute people from the right. "When it's leftists who talk about violence, there's silence. Ra'ad Salah is walking around free and Meir Ettinger is in jail. For what? Because he published some articles in The Jewish Voice?" "They didn't even want to let him attend his son's brit. 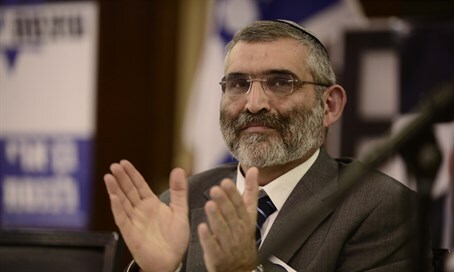 A left-wing government under Rabin placed Baruch Marzel on administrative detention but let him go to his son's brit. Same for Noam Federman," he added, referring to two veteran right-wing activists. "But now the right-wing government is acting cruelly." Ben-Ari called on MKs from the nationalist camp to wake up. "We need to ask questions because, if we don't, he'll remain in jail forever. This boy is being abused. His wife doesn't have a crust of bread. We all need to wake up - today it's him, tomorrow it's you. "Ask the Likud and Jewish Home MKs what they would do about it. If there isn't any evidence, you should let him free. You can't remain indifferent to violence against someone in solitary confinement. If this was someone from the mainstream, there would be outrage."